"Select Denny’s nationwide offer a 10 percent military discount year-round for diners with proof of service. 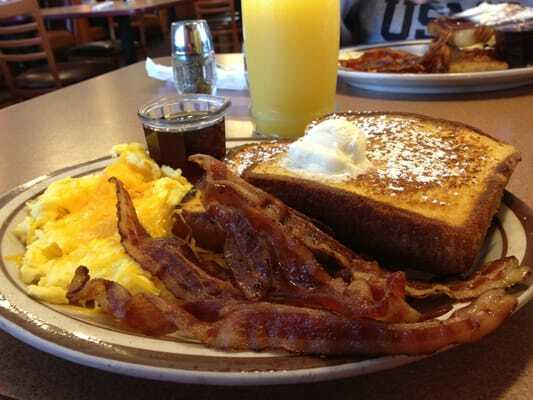 For more information or to find a participating Denny’s near you, please visit www.dennys.com." Denny's also has a 55+ menu that has great deals for old fogies. Denny's actually has a better discount for AARP members which is 15% off. This was odd because in my experience restaurants usually give their highest discount to military members but here is an exception. If you are not an AARP member, you can join for just $16 a year (or $12 for a five year subscription). That comes with a free subscription for your spouse also. They have discounts to Movies, Car Rentals, Hotels, Restaurants, etc. Is it a corporate decision not to give military discount on July 4th?